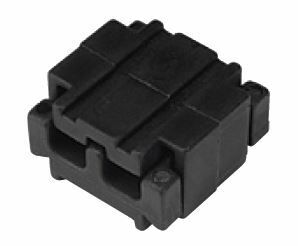 Click Connector for 12 Volt LED Cables - 120 Watts Max. Quick, click cable connector. Can be used to join and repair 12 volt Plug & Play lighting cables with a maximum load of 120 watts. 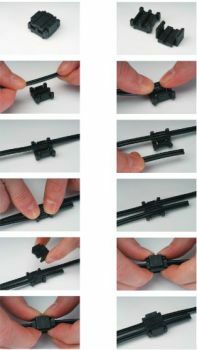 Feed terminal ends of cables through connector in opposite directions and click both parts together to make a weatherproof cable connection.